With tomorrow being Halloween, it’s likely a few parents will be helping their children dress up in costume, be it Star Wars, a superhero, or a princess, and taking them around the neighbourhood knocking on doors for the annual tradition of “trick or treat”. In a way, every day is Halloween for charities. Where potential donors walk up to our doors, ring the bell, and when we answer the door instead of us handing out a “treat”, they hand us a donation. But it’s not as easy as sitting and waiting for that knock on the door. We have to work to get the donors to walk up, ring our bell and give their philanthropic support. Are we doing enough to get them to knock on our door or are they just walking by and going to the next place? One year I was at home in my unit with a huge bowl of lollies waiting for the bell to ring. About 3 children came just as the sun was setting, but that was it. Not one more knock the entire night. When I investigated by going outside, I realised my neighbour was not home and had all their lights turned off, including up the walkway to both our units. It looked like no one was home at either place. A dark house is not too inviting to children on Halloween. And I was left with masses of leftover candy. It was very disappointing. 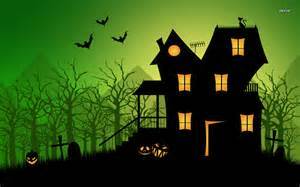 What can we do to make our charities look inviting to potential donors and not look like dark houses? We have great “goodies” to give them – stories of our great work and success! First, what if a potential donor does physically walk through the door of our organisation? What do they see? Can they tell it’s our non-profit? Do we have appropriate signage? Is our logo visible? Is it neat and clean? Are we ready to give them a tour of our organisation? Also, do we have printed material to give to them? And are we ready to accept a donation from them if they want to give us a “treat”? Do you have a donation form ready to hand them? Second, what if a potential donor walks through a ‘virtual’ door, by calling or clicking on our website? Does the person answering the phone know where to direct a potential donor? Does our organisation have a mission or purpose statement that is easy for all staff to repeat to potential donors? Or know examples of those success stories? On our website, is it easy to make a donation? Is there only one ‘door’ for them? Imagine if children were “trick or treating” and they had to keep knocking on door after door to get their candy? They would leave and go to the next house with only the one door. Third, we can make sure we have a coordinated effort with our direct mail and our electronic direct mail. Do we have all the elements we need to get that donor to walk up and ring the bell? I had inviting walkway lights, spooking house lighting, and eerie music together as a package. Not just one or the other. Do we have the right content and message; layout and design; reply device with all the information we need to collect? When we think about it, it’s scary how unprepared some of us may be for potential donors or how many donors just walk by our organisation because it’s too ‘dark’ and not inviting. Or we don’t have all the elements working together to make them want to stop and donate. Or the ‘treats’ are not good, so they tell others “skip that place”. This year, let’s have “treats” for our potential donors and they have “treats” for us, too. Dan Bernstein, MFIA, has been an independent consultant in Australia since October 2013. Prior to this, he spent three and a half years as Training Consultant at Blackbaud Pacific delivering services to customers in Australia, New Zealand and Hong Kong. Before moving to Australia, he worked in the US for non-profit organisations of all sizes, as well as large corporations and small private companies. Dan has over 20 years experience and this varied background in fundraising, events management, sales and marketing, gives him a unique perspective on the philahthropy and fundraising industry. Having worked with organizations in Asia-Pacific and the US, he has been tasked with bringing solutions to their common data and fundraising issues. Dan brings a high-energy approach to delivering training and consulting allowing colleagues to have a better understanding of fundraising and their data as a tool to help them strengthen relationships with their constituents – increasing both donors and dollars.